Citation: Erowid E. "Cannabis & Psychosis : a guide to current research about cannabis and mental health." Erowid Extracts. Jun 2005;8:4-7. Recent research into whether cannabis causes "psychosis", mental illness, or schizophrenia has received a great deal of attention in the media and has triggered calls for the British government to move cannabis from Class C back to its former, more punitive, Class B designation [Erowid Note: Cannabis was reclassified as Class B in January 2009]. It is easy to dismiss the current Reefer Madness scare as yet another in a long line of such offerings by politically-driven drugabusologists, but there is more to it than hype, even if it is hardly the "drug induced mental health crisis"3 that some allege. The following is an overview of the current state of the debate. In the last few years there have been dozens of journal articles touching on this issue. A PubMed search for "cannabis psychosis" shows over 60 related articles published since the start of 2004. New additions to the now massive literature include a handful of important papers that present original analyses of survey data, at least three systematic literature reviews (summarizing, comparing, and synthesizing the results of other research), numerous editorial "reviews" of the evidence, and at least one academic book. "Smoking cannabis virtually doubles the risk of developing mental illnesses such as schizophrenia, researchers say." This same data can be read to suggest the opposite, that cannabis users are more likely to have psychotic symptoms than the general population. "Drug abuse" is said to be "comorbid" with schizophrenia and other psychotic disorders, which means that these two problems occur in the same person at a higher than average rate. Comorbidity does not imply any causal linkage, although comorbid conditions may be causally related. Unfortunately, from there, it gets very complicated very quickly. This bears repeating: correlation does not imply, and should not be assumed to mean, causation. This is especially true in epidemiological surveys, which are based on self-reports. The indirect nature of these studies—compared to controlled experimental designsÑmakes it infeasible to show actual causation with much certainty. Perhaps most important to the current discussion is that both the Fergusson and Henquet papers identify "psychotic symptoms" from self-reports on surveys. These self-reported "psychotic symptoms" include items such as "having ideas or beliefs that others do not share" and do not reflect actual diagnosed, clinically relevant schizophrenia or psychotic disorders. Self-report-based survey data are particularly problematic when specific medical conclusions are based on them. Theoretically speaking, survey data, no matter how strong, cannot prove causation. Survey data can only imply causation by isolating and using statistical techniques to control for possible confounds, e.g. factors other than cannabis use that could cause psychotic symptoms in the survey respondents. When the cause of a disease is unknown, as is the case with psychotic disorders, determining which confounds to control for becomes an evolutionary process of educated guesswork. Survey data can also present additional complications. It appears that people are more willing to report the use of cannabis and alcohol than they are the use of other illegal drugs.8 This would increase the apparent effect of cannabis relative to other psychoactive drugs. Findings could be exaggerated if people with mental problems admit to illegal drug use at different rates than healthier individuals (they may be seeking causes for their condition or just have less to lose). It may be that people willing to admit to cannabis use are also more willing to admit to strange thoughts. It is also a known issue that a certain small portion of the population simply lies on surveys, and the bias this could introduce is not examined in the respective studies. In their literature review from May 2004, Macleod et al. state that "In other contexts, reporting bias has been shown to be capable of generating strong and substantial associations between measures ..."4 Simply put, it is problematic and difficult to separate correlation from causation using survey data. One of my thoughts while reading on this topic has been that since, cannabis use rates have reportedly risen dramatically over the last 40 years,8 there should be a matching increase in psychosis rates. This turned out to be harder to research than I had imagined. The diagnostic criteria for schizophrenia and "psychosis" have changed quite a bit over the last 40 years, making it difficult to compare rates over time. Also, reliable epidemiology for these psychological problems is scant. "Despite widespread concern, we have found no strong evidence that use of cannabis in itself has important consequences for psychological or social health." A frequently mentioned explanation for the association between cannabis use and schizophrenia is that people with this type of mental illness self-medicate with cannabis to reduce symptoms or make themselves feel better. Recent studies have attempted to establish a direction of causation and control for the Self Medication Hypothesis (SMH) by carefully comparing the timing and order of cannabis use with the timing of reported symptoms. Both Fergusson et al. (2005) and Henquet et al. (2004) address this and report that the SMH did not explain their findings. There is now substantial evidence that the SMH cannot explain all (or even most) of the correlation between the use of cannabis and schizophrenia and psychotic symptoms. But there is also undoubtedly some part of the association that is properly described as self medication, but this has not yet been quantified. An alternative framing of self medication is "affect regulation", which is a more general way to describe the reasons someone might want to use a substance to alter how they feel. Instead of focusing solely on the idea of medicating something, the term "affect regulation" also includes social, philosophical, or recreational reasons for use. Multiple surveys have looked at the reasons people diagnosed with psychotic disorders give for their use of cannabis. In her review of these surveys, Spencer (2004) found a strong correlation between certain reasons for use and how much was used: "[the use of cannabis and other substances] to cope with unpleasant affect and to relieve psychotic symptoms and medication side-effects led to stronger dependence. "13 It may be problematic to assume that the dose-response findings in the surveys (where heavier cannabis use is associated with more psychotic symptoms) indicate cannabis causes symptoms to worsen. There is evidence that at least some users increase their cannabis intake in response to worsening symptoms and to curtail the unpleasant side effects of medications. Related to the Self Medication Hypothesis is the issue of cannabis use during the "prodromal" period. Prodromal refers to symptoms that occur before the full onset of a disease. There is evidence that most psychotic disorders are preceded by an extended prodromal period that often includes a variety of other symptoms.14,15 It is possible that, during this period, some individuals turn to commonly available psychoactives to improve their emotional states. Since the developmental course of psychotic disorders is not clearly understood, the hypothesis that pre-symptomatic individuals prone to psychosis may have a proclivity for seeking cannabis cannot be easily separated from the hypothesis that cannabis use prior to the onset of psychosis causes the later symptoms to occur. Some studies claim that they can detect those experiencing prodromal effects by their survey answers, but the question of whether survey answers can identify early prodromal individuals has not been adequately explored: many early symptoms may not appear to be psychotic. This makes it very difficult to identify whether cannabis is a cause or an effect of psychotic symptoms. Another possible explanation for the correlation between cannabis use and psychosis is that the same risk factors that lead to psychotic disorders also lead to heavy cannabis (or other similar psychoactive) use. An oversimplification of this "shared cause" (also called "common vulnerabilities") model is that the genetic background and childhood histories that make people prone to schizophrenia also increase the likelihood of cannabis use. This is similar to, but distinct from, the issue of confounding factors. There is evidence that the cannabinoid system in the human brain may be involved with schizophrenia and that schizophrenic patients have imbalances in their endogenous cannabinoids.16 It is possible that an underlying condition could both lead to schizophrenia and make it more likely for an individual to use cannabis more heavily because it affects them differently than the average population. Since schizophrenia has a higher average age of onset (21-32 years old)18 than the average age of initiation for cannabis, by default, cannabis would normally be used before the onset of schizophrenic symptoms. According to national surveys in the United States, peak cannabis use occurs between the ages of 18 and 25.8 This overlaps the period during which schizophrenia is likely to first occur, providing an additional complication. There are several distinct types of "causes": necessary, sufficient, and component. A necessary cause is one that must be present before the result can occur. A sufficient cause is one that is, by itself, enough to cause the result. A component cause is one that is part of a "constellation" of causes that work together to bring about a result. All of the recent research into this issue has found that cannabis is neither necessary nor sufficient to cause schizophrenia by itself.5 Rather, it is most likely a component factor when combined with a variety of other potential issues such as genetic pre-disposition or difficult childhood. Cannabis use, along with its attendant lifestyle and subculture, probably worsens symptoms in some of those vulnerable to psychotic disorders. The same is commonly said of the psychedelics such as LSD or psilocybin. As we don't know what causes schizophrenia, determining how important a factor cannabis use is cannot be determined. Cannabis use could be a precipitating component in several ways. Heavy cannabis use may worsen certain coping mechanisms and weaken familial or social support through social disapproval. Fear of legal problems could cause anxiety and paranoid feelings; actual legal problems could damage self-esteem, damage hopes for life goals, or cause serious life problems. Cannabis intoxication can lower inhibitions and self control, worsen some symptoms to the point of dysfunction, or be part of a lifestyle that involves irregular sleep or other instability. It is easy to imagine that the effects of frequent or high dose cannabis intoxication could exacerbate these underlying instabilities and lead to increased paranoia and delusions. Hundreds of papers have been published in the last few years looking at the very popular issue of whether cannabis causes psychosis. This issue has received the international attention of media, governments, researchers, and the general public, all looking for answers. Yet we are still sorting through cluttered fields of data. The main anchor point in the noise is that there is a near consensus that cannabis use and psychotic disorders are correlated, but the nature of the relationship is still far from clear. You can read more about this issue at Cannabis & Psychosis : Additional Notes and References. Henquet et al. analyzed a longitudinal survey that was conducted in Germany between 1995 and 1999 in which 2,437 people aged 14 to 24 were surveyed on two occasions about four years apart.6 Their analysis showed that among those determined to be "predisposed" to psychosis, cannabis users were 23.8% more likely to report "psychotic symptoms" than non-cannabis users. There was a smaller (5.6%) increase in those symptoms among cannabis smokers without psychotic predisposition. They also found a dose-response relationship between cannabis use and psychotic symptoms: heavier cannabis use was associated with higher rates of psychotic symptoms. Their analysis corrected for other known risk factors and also for direction of causation (does cannabis use cause psychosis or does psychosis cause cannabis use?). They found no evidence to support either the "self medication hypothesis" (see here) or the idea that predisposition to psychosis caused later cannabis use. The most striking element of their findings was that more frequent cannabis use increased both the percentage of people who reported psychotic symptoms and the number of symptoms reported. This paper was notable because it appeared to show, through complex statistical techniques, that "the direction of causation was clearly from cannabis use to psychotic symptoms". It is important to note that these two surveys measured "psychotic symptoms" and not actual diagnosed illnesses. The Fergusson analysis used ten "psychotic symptoms" identified from the survey including "having ideas or beliefs that others do not share" (18.8% of 21-year-olds) and "feeling that other people cannot be trusted" (15.7% of 21-year-olds). These are problematic because of social and legal confounds with the subcultural nature of the use of cannabis. It is almost a tautology to say that cannabis users (in societies where its use is prohibited or stigmatized) "have ideas and beliefs that others do not share" and/or that they "feel other people cannot be trusted". Without additional information, these "symptoms", far from being obviously psychotic, may instead be rational and reasonable. The rates at which these symptoms were reported were 2-9 times higher than the more obviously psychotic symptoms reported such as "hearing voices that other people do not hear" (1.7% of 21-year-olds). It is worth noting that the incidence of all "psychotic symptoms" was quite low: those who reported no use of cannabis averaged 0.60 symptoms, those who reported using cannabis "at least weekly" averaged 1.15 symptoms, and daily cannabis users reported an average of 1.95 symptoms. In a May 2005 response letter published in Addiction, the authors dismiss this problem by pointing out that a survey in the Netherlands (where one might expect cannabis users to feel less disenfranchised) also found a relationship between schizophrenia and cannabis use. But with this argument they make it clear they did nothing to account for this confound in their work. It is both inappropriate to ignore this potential confound as well as to suggest that heavy cannabis users in the Netherlands are otherwise socially identical to the rest of Dutch society. Report of the Indian Hemp Drugs Commission, 1893-94. Government Central Printing House (British), 1894. Young E. "Cannabis link to mental illness strengthened". New Scientist. Nov 2002. www.newscientist.com/article.ns?id=dn3098. Arseneault L, Cannon M, Witton J, et al. "Cannabis as a potential causal factor in schizophrenia" in Castle D, Murray R. (Eds.) Marijuana and Madness. Cambridge Univ. Press, 2004. Johnston L, Bachman J, O'Malley P, et al. "Monitoring The Future". Univ. of Michigan, Institute for Social Research, 2003. Arseneault L, Cannon M, Witton J, et al. 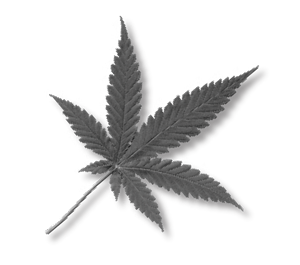 "Causal association between cannabis and psychosis: examination of the evidence". Br J Psychiatry. Feb 2004;184:110-7. Favrat B, Ménétrey A, Augsburger M, et al. "Two cases of Ôcannabis acute psychosis' following the administration of oral cannabis". BMC Psychiatry. Apr 1, 2005;5(1):17. American Psychiatric Association. DSM-IV, Fourth Ed. Am. Psychiatric Assoc., 1994. Spencer C. "Psychotic disorder and motives for cannabis use." in Castle D, Murray R. Marijuana and Madness. Cambridge Univ. Press, 2004. Yung AR, Phillips LJ, Yuen HP, et al. "Psychosis prediction: 12-month follow up of a high-risk (Ôprodromal') group". Schizophr Res. Mar 1, 2003;60(1):21-32. Loebel AD, Lieberman JA, Alvir JM, et al. "Duration of psychosis and outcome in first episode schizophrenia". Am. J. Psychiatry Sep 1, 1992;149(9):1183-8. Leweke FM, Giuffrida A, et al. "Elevated endogenous cannabinoids in schizophrenia". Neuroreport. Jun 3, 1999;10(8):1665-9. Piccinelli M, Gomez-Homen F. "Gender differences in the epidemiology of affective disorders and schizophrenia". WHO, 1997. Veen N, Selten J, van der Tweel I, et al. "Cannabis use and age at onset of schizophrenia". Am J Psychiatry. Mar 2004;161(3):501-6.